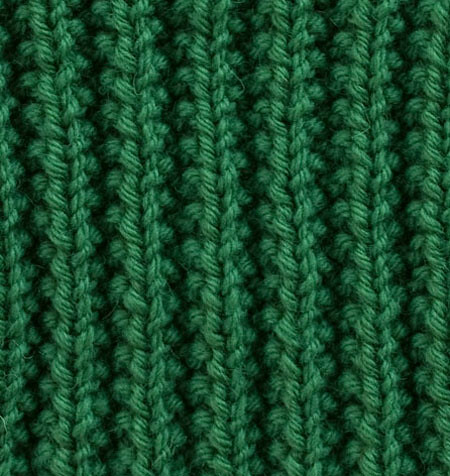 Difficult Techniques: Somewhat challenging to knit into front and back of two stitches at once. Comments: Lays flat. 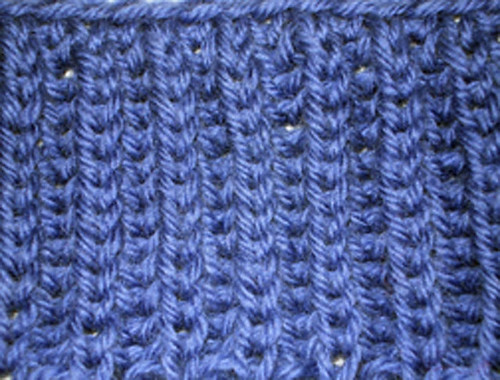 Stitch count changes on row 3 so counting stitches on (or immediately after) this row could lead to confusion. 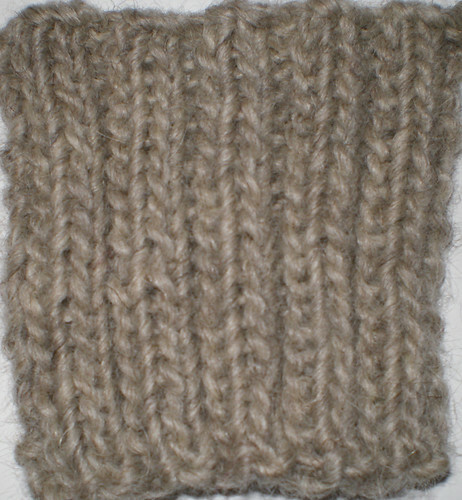 I originally knit this using Cascade 220 but I didn’t think it looked very good. I’ve added photos of that swatch to my flicker account. If you’re interested you can see them here. Comments, if any: Lays flat and is reversible. 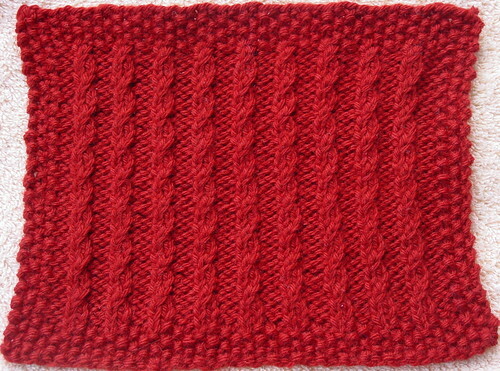 Brioche Stitch 1, originally uploaded by expknitter. 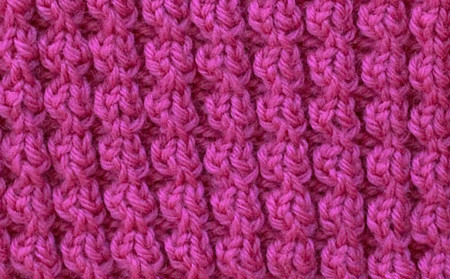 Comments: 1) A very stretchy, reversible rib pattern, suitable for hats, scarves; 2) Do the yo’s as Elizabeth Zimmermann suggests in “Kniiting Without Tears” (creating a sloppy diagonal loop, as she calls it) rather than the usual yo before a k st, else the rib pattern won’t form properly. 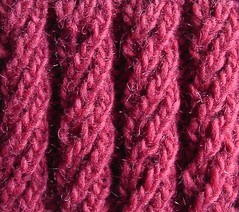 2×2 Ribbing, originally uploaded by expknitter. 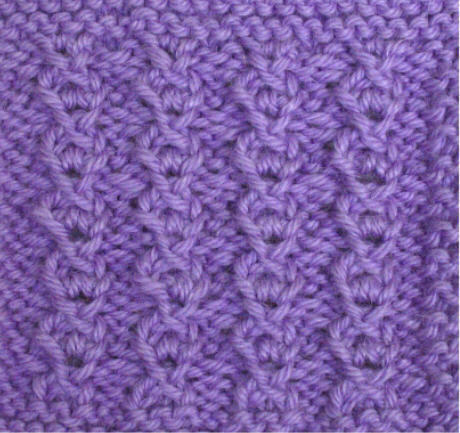 Comments: A variation of 1×1 ribbing, pulls in nicely and doesn’t curl.